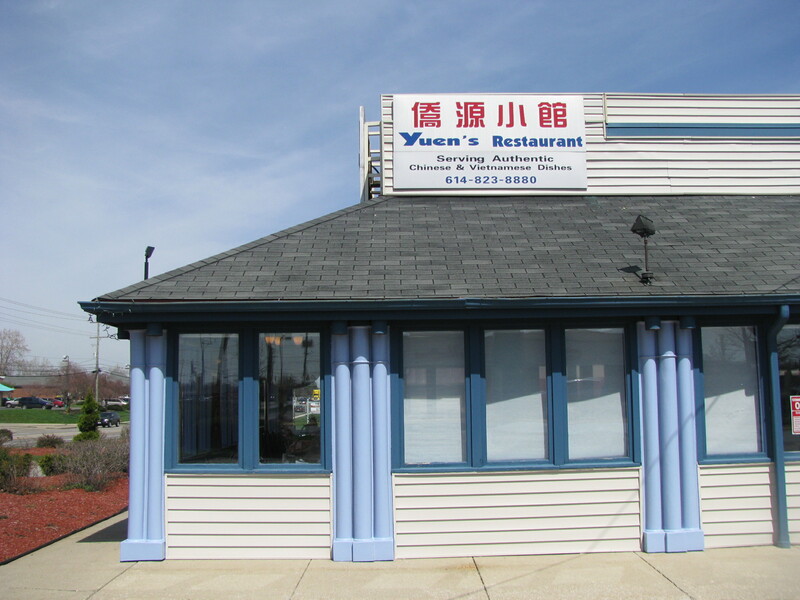 Yuen’s is no new kid on the block – in their previous life the owners had a place near campus on Lane and High called Chinese Village Kitchen. Upon reviewing the menu, it is divided into two parts; the first being the usual American-Chinese fare and the other pages towards the back list Vietnamese and the Cantonese dishes. 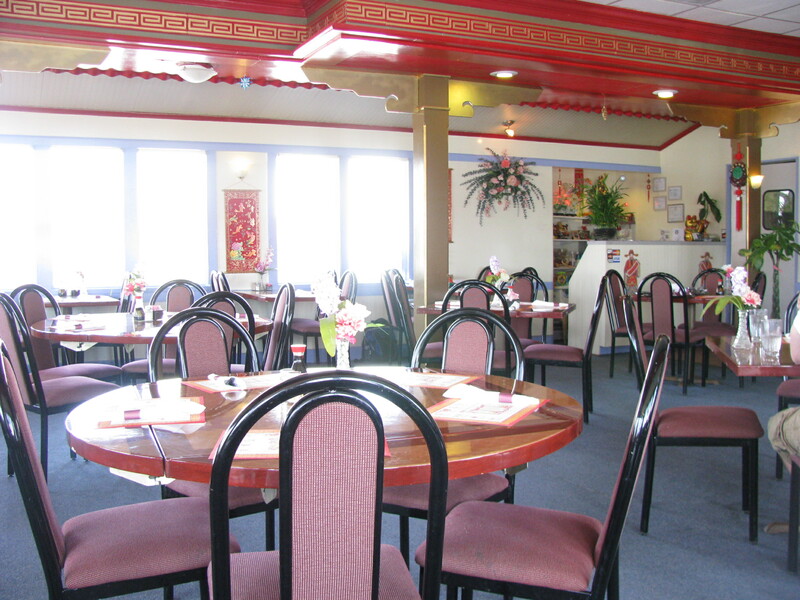 The layout of the restaurant is clean and decor is heavily reflective of Chinese influences. The place is airy and has windows on 3 sides of the restaurants, making it a very pleasant place to dine. We dove right into the back pages of the menu and ordered the beef tendon salad and the squid salad. The beef tendon was heavily seasoned with sesame oil and szechuan pepper and garnished with lots of cilantro. The texture of tendon was slightly chewy and slippery at the same time. This can be a challenging dish for some who may not be used to eating gelatinous textures. The squid salad came with a fish sauce and lime sauce and garnished with jalapenos and red onion. The squid was less than fresh and a little too salty that day. As per our usual visits to restaurants with Vietnamese menu items, we ordered the bun thit nuong. It is essentially cold rice noodles with spring rolls, bbq pork, julienned carrots and cucumber, tossed with a light vinegary fish sauce laced marinade. This version was as good as we had in other Vietnamese places. There isn’t a tremendous amount of variation to this dish from place to place (perhaps save for Luc’s version), with differences typically being in the emphasis on the ratio of veg vs pork in the spring roll. This one leaned more towards the pork. 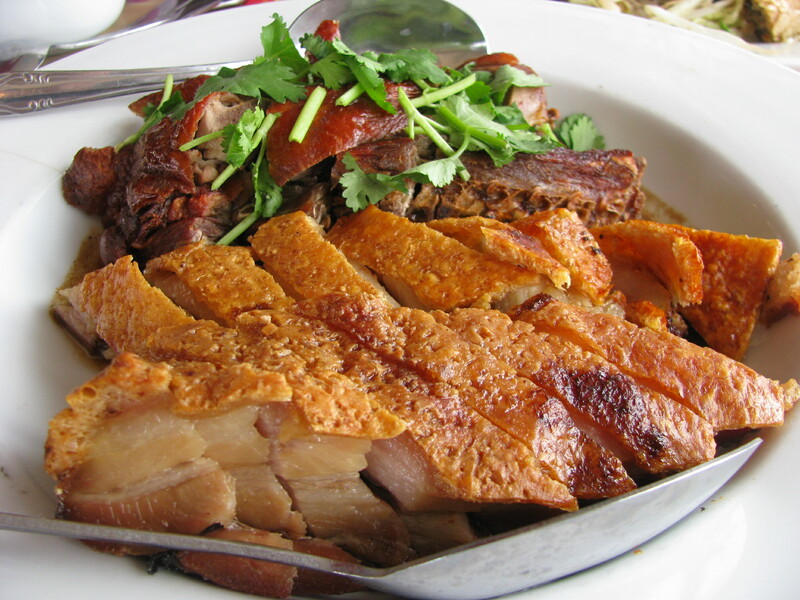 For our mains, the waitress recommend adding roasted pork belly in addition to the roast duck (both above). This is a very familiar lunch plate for those who have grown up in Cantonese-influenced household. A roast meat plate is very common for lunch, it could be any combination of char siu (bbq pork), siu yoke (roasted pork belly) and roast duck. The roast duck came doused with some plum sauce that gave us something sweet to counter the saltiness of the duck. It was slightly overcooked and that made the flesh tough and stringy to navigate. The pork belly on the other hand was quickly devoured by the table for its crispy skin and wonderful alternating layers of fat and lean meat. It was lightly augmented with some 5-spice powder and salt. Biting into the crispy skin produces a sound quite similar to the crunch of potato chips. To redeem our carnivorous ways, we ordered some stir fried snow pea shoots. Unfortunately the redemption was lost since the greens were overcooked. On a separate visit, we decided to try more of their Vietnamese and noodle dishes. The one one the left is the Tieu Chau Style Rice Noodles Soup and the right is the Satay Beef Rice Noodles. The Tieu Chau was filled with slices of pork liver, minced pork, shrimp and fish balls, pretty much a kitchen sink dish. The addition of fried shallots on top gave it the dish some texture and lovely edge of savoriness. Overall it was a very slurp-worthy bowl noodles. the satay noodles on the other hand is on the other end of the spectrum. The sauce was all gloop and no flavor. The Woolf and I couldn’t pick up any distinctive flavor that would make it a satay sauce. Peanut – no (yes, there is sprinklings of crushed peanuts on top but there was definitely none in the sauce). Soy – maybe. Random brown sauce – yes. This bowl did not get a seat in the clean plate club. Overall, there are a few good things on the menu but unfortunately it is dotted with more unsuccessful ones. It was also hard to differentiate between the Chinese and Vietnamese dishes as there isn’t a specific call out to the Vietnamese dishes. However if you happen to be on 161 and craving some rice noodles, do stop by as they do have a pretty decent Black Bean Beef Chow Fun. This entry was posted in Asian, Chinese, Vietnamese. Bookmark the permalink. Yeah. I wasn’t thrilled with this place. For good Vietnamese, I’d go about another 400 yards and hit Mi Li, next to Waterbeds and Stuff. Strangely, “yuen” is a derogatory term for Vietnamese in Cambodia. My Cambodian friend was shocked to see it as the name of a restaurant. This place is now closed…was up at Mi Li’s this weekend.